A warm welcome to B&B Kuća Bajlo, the Bed & Breakfast of Griet and Anri Bajlo, a Belgium-Flemish-Croatian family in Zadar. The small family B&B with 5 rooms and a capacity of 10 people is surrounded by a beautiful garden with white flowers, plants and organic vegetables, fruit and herbs. The Bed & Breakfast is within walking distance from the Croatian coast and the beach of Zadar. At Kuća Bajlo Zadar you will feel at home immediately because the lovely host family greats you personally. 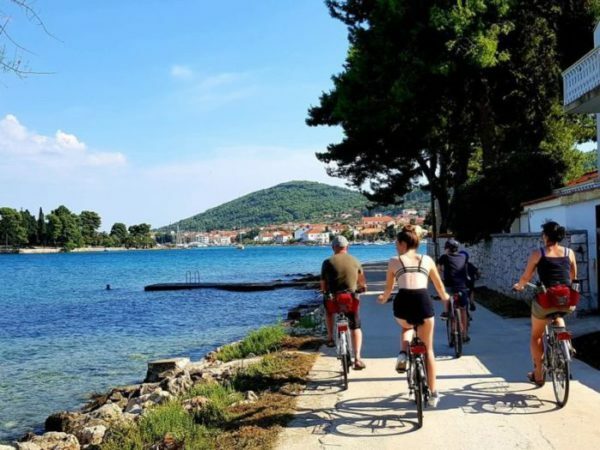 If you want to enjoy a special vacation then Bed & Breakfast Kuća Bajlo in Zadar, Croatia is the place to be. The only vegetarian B&B in Zadar and Croatia! We provide a bountiful, healthy and varied buffet. Guided hiking and bicycle trips and other activities. 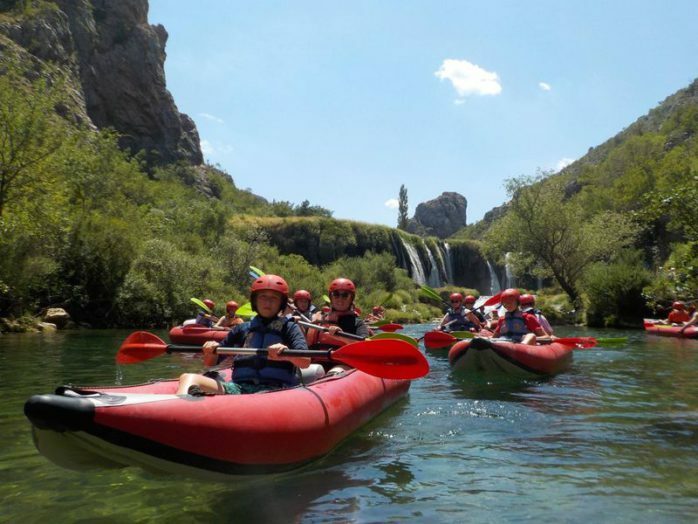 Discover the islands, national parks, rivers and waterfalls of Croatia with us. 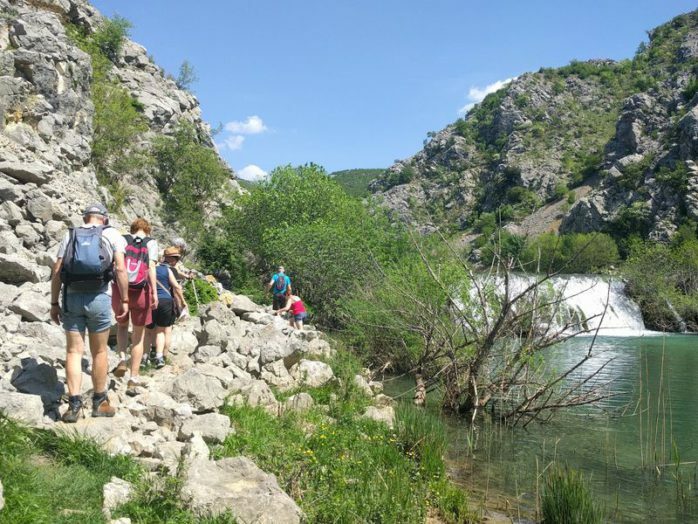 Regurlarly, we take our guests on guided hiking and bicycle trips in Zadar and surroundings. We’ll show you the best places of our region, mostly undiscovered by tourists. Do you want to swim with the fish in the clearest blue water? 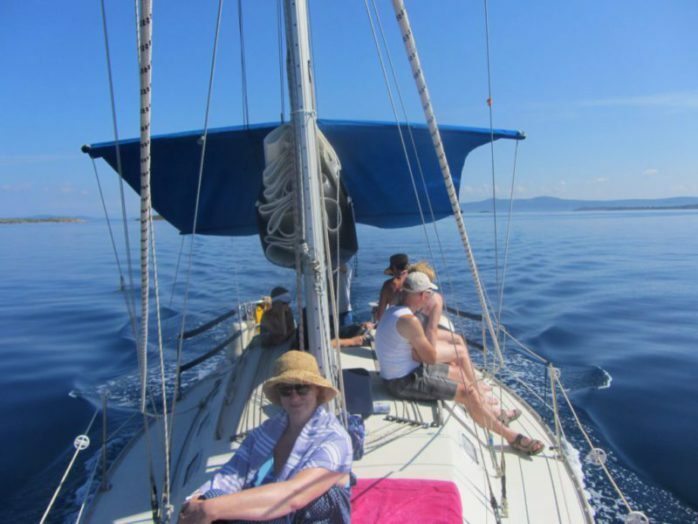 Make sure you join us on a sailing trip to the Kornati islands. Would you like to discover all the best things about Croatia, Zadar en B&B Kuća Bajlo? Please let us know your name and email address and we will send you the FREE E-book “On tour in Zadar and Croatia”. A practical guide full of the best activities and nice points of interest in Zadar and in its beautiful surroundings. A stay in Croatia includes lots of fun moments. We are happy to inform you about some activities and nice points of interest in and around Zadar. The best location for an active holiday! After all these years even we are still amazed by the beauty of Croatia. Do you want to discover Zadar and it’s wonderful surroundings? We know all the best places to visit! Can you picture yourself in our beautiful garden?